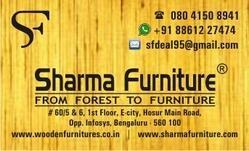 Established in the year 1995, we, “Sharma Furniture”, are known for our proficiency in manufacturing, wholesaling and retailing an extensive range of Wooden Furniture items. In our range, we offer Upholstery Wooden Sofa Set, Wooden Rocking Chair and Recliner Leather Chair and many more Wooden products. Owing to their longer service life, elegant and sophisticated designs, excellent finish standards, termite resistance and high comfort level, our furniture items find huge demand in the market. In the manufacturing process of our range of furniture, we make use of quality termite resistant and chemical treated wood like sheesham, teak, rosewood and mango wood. The whole product range offered by us is in compliance with global quality standards. Our team members ability to innovate and design unique products has helped us become the preferred choice of clients. Owing to their meticulous efforts, we have been able to expand our business and clients. To reduce risks in transportation, we make use of advanced packaging techniques. Our qualitative approach has helped us earn a turnover of Rs. 1 crore (10 million INR). Under the inspiring leadership of our mentor and guide "Mr. Vimal Sharma", we have been able to reach a distinctive position in the furnishing industry. He has remarkable domain knowledge and leadership capabilities, which has enabled us to stay ahead of the rival firms. We are aided by a team of highly skilled and creative craftsmen who help us provide our clients with premium quality furniture. They carry our the manufacturing processes in the most coordinated manner. At each and every stage of product development, our quality controllers check these furniture items. Owing to the cooperation of our team members, we are capable of meeting the demands of our clients in the most effective and timely manner. They enable us to create Wooden Furniture as per clients' specific requirements. For ensuring timely delivery of premium quality wooden furniture items at clients end, we have developed a sophisticated and state-of-the-art infrastructure facility. The manufacturing unit of our firm is well-equipped with all the modern facilities and amenities essential for offering high-grade range of Wooden Furniture to the clients. Large production capacity of this unit makes us capable of completing the orders within the promised time-frame. The finished products are checked at our in-house quality control division by our experts. The entire Sharma Furniture team will adhere to the spirit and intent of our quality policy, as well as the directives of this quality assurance manual and its supporting quality system documentation. We will continue to aggressively strive to ensure that customer satisfaction is achieved at all times, and in all things. Sharma Furniture is totally committed to understanding and meeting the quality needs and expectations of all our customers. We have a proud reputation for delivering quality components. Our quality assurance system focuses on the following principles. 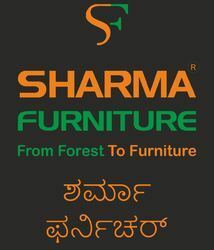 At Sharma Furniture, our primary objective is to help our customers grow their retail business. It’s in our best interest to supply our retail partners with products that sell. In order to maintain this business model, we design, source, manufacture and distribute the most diverse line of case goods available in the market today. Our ongoing effort to build the Standard brand, remain a leader in design innovation, value, and customer service should be reassurance to you that partnering with Sharma Furniture is a good business decision. We are committed to total customer satisfaction through our quality products & services achieved with customer focus, involvement of our employees and continual improvement in all areas. Owing to the quality of products offered by us, we have managed to emerge as one of the leading manufacturers and wholesalers of premium quality Wooden Furniture. As per the specific preferences and requirements of clients, we can also provide them with customized products. Safe and timely delivery of the furniture items at our clients'''' end is another of our strong point.